Robert Taft was born on 9 January 1932 in Providence (USA). At 17, he entered the Society of Jesus (Jesuit Order) and was ordained to the Byzantine Catholic priesthood in 1963. In the 1960s, inspired by Professor Juan Mateos, Fr. Robert developed an interest in the history of Eastern Christian liturgical traditions. He held Master's degrees in Philosophy, Russian and Theology. His doctoral thesis The Great Entrance, which was a historical study of the part of the Divine Liturgy between the Cherubic Hymn and the Anaphora, was a turning point in the history of the Byzantine liturgical tradition scholarship. From 1970, the primary place of ministry for Fr. Robert was the Pontifical Oriental Institute in Rome where he was professor until 2008 and vice-rector between 1995 and 2001. He was director and editor of the major periodicals Orientalia Christian Periodica and Orientalia Christiana Analecta. Fr. Robert delivered lectures world wide, founded and was actively and creatively involved in academic societies, therefore it is for a good reason that Fr. Robert is known as a ‘teacher of many teachers’. His academic legacy features over 800 academic papers and publications, the most prominent of which are his thesis The Great Entrance (1975), The Liturgy of the Hours in East and West (1986) and his magnum opus, the multi-volume History of the Liturgy of St. John Chrysostom. Father Robert established a whole school of thought and mentored a multitude of scholars who gratefully remember the caring guidance and the academic and personal support he extended to them. Fr. 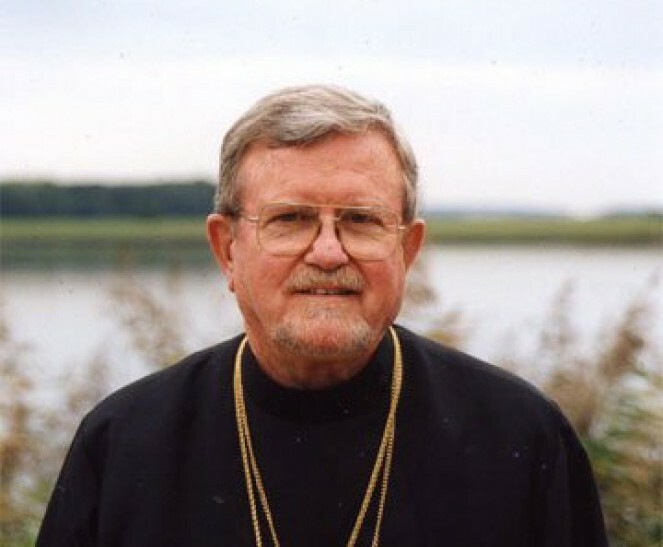 Robert gave special attention to the development of liturgical studies in Russia and was always supportive of research initiatives in the field. In 2011, Archimandrite Robert Taft joined the Trustees Board of Saint Philaret’s Christian Orthodox Institute. In addition to being an encouragement to us in ecclesiastic and academic terms, our relationship with Father Robert strengthened our hope of overcoming divisions between Christians. Archimandrite Robert Taft’s contribution towards academic scholarship of the Eastern liturgical tradition is impossible to overestimate. His work will always remain an inspiration to us. His love of witnessing God act in the life of the church and his attention towards the history of worship always illustrated his genuine love for and personal attitude towards God’s action and man’s role in the worship. We trust in and hope for a meeting in the eternal life through the Resurrection of our Lord, whom Fr. Robert always served so faithfully. May Father Robert’s memory be eternal and may the peace of God be with him!